I don’t think I had ever cried over the death of a person I didn’t know until last night. As I was leaving work I heard the news that Peaches Geldof had been found dead at her home in Kent. I immediately thought of her mother, whom she had lost at such a young age; she must have suffered so terribly from her loss. Then I remembered that she had two young children of her own; history seemed to be repeating itself in the most devastating way. Then I turned my mind to her husband for a moment. He mustn’t know what’s hit him, I thought. How on earth will he know what to do? How will he cope with the children? How will he explain their loss to them? Tears ran down my face as I remembered the confusion, shock and despair that I felt when I was told that my own wife was dead. Peaches was speaking about her mother’s death, which happened when she was eleven. Some people may be astonished to learn that parents get more support when a child is born than children receive when a parent dies. 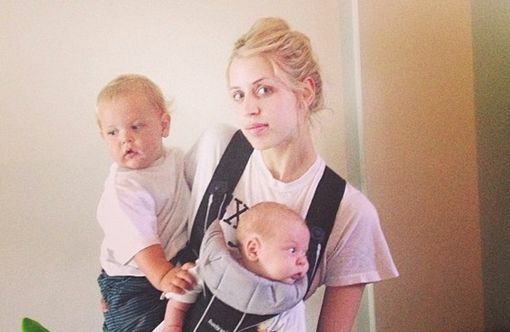 Although a midwife will almost certainly have visited Peaches after the birth of both of her children, it’s unlikely that her husband, Thomas Cohen, will get any immediate medical or psychological intervention to help ensure that he is physically and mentally able to care for them alone following the loss of his wife. And from what Peaches said about the death of her mother, Paula Yates, almost fourteen years ago, things were no different for her father, Bob Geldof, back then. The unguided expectation was, and mostly still is, to simply ‘keep calm and carry on’ unassisted. They are ‘beyond pain’ and still it’s unlikely that any immediate support will be made available for the family – nothing to help them understand how to best deal with the potentially catastrophic consequences of losing a parent as a child. Many things will be written over the next few days and much will be said. There will be space devoted to how Peaches dressed, what parties she attended and what company she kept. Tributes will flood in from famous friends and celebrity commentators. Photographers and reporters will stand outside her home in the cold and rain trying to get the latest updates about the cause of her death. And all the while a family will be inside trying to figure out how to even begin to cope with their loss. Friends and family will drop in with cards, words of comfort and home-cooked food. Neighbours will offer support and send messages of condolence. Flowers will arrive and funeral arrangements will be made. But it’s unlikely that anyone will come specifically to talk about the kids. Perhaps it’s time for someone to ask the question, Why are parents offered post-natal but not ‘post-fatal’ care? I just can’t help but think that some of the space that will inevitably be dedicated to what clothes this young woman wore could go to better use. Together we could choose to shine a light on an issue that has so affected the life of a young mother on behalf of the sons her death leaves behind. Or we could simply decide to learn no lessons from the past, keep calm and carry on. I for one know what I’m going to do. There is help and support out there. In my area of North Essex the hospice is running a bereavement service which is available to anyone who has lost a family member or close friend not just to those who were patients at the hospice. I had counselling myself and am now volunteering as a Bereavement Visitor to help others in their grief. There is also professional support. I know now that there is help out there, but nothing was offered when I needed it most – when I was blinded by shock and had no idea or experience of how to deal with mine and my child’s trauma. My doctor offered me counselling and Gaviscon and ‘prescribed’ my two-year-old son a dose of resilience. I also didn’t get any help when my mum passed away suddenly in September 2013. I had to wait 6 months for help. I admire you so much for carrying on and staying strong for your son. Great post Ben, I too was so shocked and saddened by the news despite not being a massive fan or knowing her. My heart goes out to her family and boys and I hope you are your gorgeous little man are doing well too. I absolutely couldn’t agree more Ben. I think it is time for us to rethink the support offered (or not) to people on the death of a loved one. Where do we start though…you are so right, there will be much written about the trivial matters and little about the long term impact on her children and wider family. I have read this post 3 times.. All I can think about is those poor children and if it was me how would I cope or my husband cope or my children cope. Your words are honest. We need to raise awareness to employ a service that EVERYONE is accessible to. Keep up the good work I’m sure it’s helping others in so many ways. So very true. And also let’s not forget the horrible divide between the attention the family are receiving now (visitors/cards/words expressed and given freely) and the utter silence in a few weeks. I’m still getting over the shock of being left to just get on with it after a few weeks. Where did everyone go? The non-bereaved view grief as a transient thing. They confuse shock with grief. Those children and that husband need people for many months and years to come. Beautifully written Ben, I have followed your blog for a while but have never commented, I lost my husband at 51 to prostate cancer last September and have two kids aged eight and twelve. I too have been surprised at how upset I have felt at the news of Peaches death as I did not know her but it seems to bring back all the physical pain and shock of my own bereavement and the insider knowledge I sadly now have of this terrible journey. My heart breaks for her husband and babies. It seems to me that as a society we are ‘good’ at death in terms of the brief and ritualised aftermath of the loss of a loved one, but absolutely shocking at recognising that most of the suffering for the bereaved arises from the constancy of being dead part, which goes on and on, forever. We don’t want to talk about that part of the process. ‘Post-fatal’ (great term) can be a lifetime. Needs can arise out of the blue; for instance in this case when someone’s else’s death chimes with us, we might need increased support. Where do we turn? I think it is ‘out there’ but what’s needed, as a society, is a sea change, so death is seen as part of the lives of the living, and not something that ends shortly after a funeral, or, in this tragic case, when the media moves on to something new. The dead are always part of our lives, it’s just that society doesn’t want to hear about it. It doesn’t fit with the prevailing narrative, where everyone is young and beautiful and interchangeable on the front pages into immortality. I don’t feel at all morbid about that, I just think our culture lives in fear of facing the pain of others for longer than it takes to click through to another story. We can all do empathy for the bereaved, if we are prepared to sit with our own difficult feelings for a little while. Many people aren’t. Totally agree. What a tragic loss. Totally agree, there needs to be more done to help in situations like this. A tragically young loss, feel for her boys and family. Care for the Family, a charity, have and provide a lot of information and support for parents, children and widow/widowers following the death of a loved one. How well written this is and yes there is support out there but you have to find it and normally its later on. where is the immediate help to cope with the basic daily living? when you wake and for that split second everything is normal and then you remember, then you have to drag yourself out of bed and cope with kids that don’t understand and you can’t help or explain to them that mummy/daddy isn’t coming back. My thoughts are with the whole family at this time and I just hope they can support each other and try to get through this the best they can. Aviva life insurance work with children’s charity Grief Encounter who offer bereaved children emotional support. Red Arc is another great service for adults who need support to cope with the death of a family member or who need support coping with a terminal illness. There is help out there but its is patchy, very different in each area of the country and sadly when you are in the depths of despair you cannot go searching for it … You simply do not have the mental capacity to look for it …. Someone found support for me and I supported my children … I admit I had the keep calm and carry on mentality and luckily for us it seems to have worked …. The fact is I had never considered that there is definitely more help post natal than post fatal 😦 shocking given how many thousands are affected every year! There are several charities that offer post bereavement care but most of them work on referral which can be hard to decifer who is in genuine need or ready to ask for it. The nhs where alot of resources charity or otherwise are linked would simply not offer the services as standard procedure as they simply couldn’t handle the volume and possible cost of being compassionate. Bereavement is a very lonely process and I think regardless of help you will always feel alone with. Perhaps sometimes professional help is little comparison to the understanding of fellow human beings. Perhaps that’s where the education and change needs to come not from a change in professional practices. The same thing has been on my mind ever this I saw the news. I saw Peaches in the playground with her mum in Ladbroke grove when my daughter was only a toddler and remember how awful the news of Paula’s death was remembering her from that time. Only for fate to take away the father of my children years after when they where 8 & 13. It was like in there case a very public and traumatic death and although people are supportive and wanting to help in the early days it can take years of functioning on autopilot as a parent trying to keep things as normal as possible for the children so when it actually hits you and you really need the help people tend to think you are fine. Asking for help as a parent or for a child is not always that easy. Unless someone actively like a post before like with a midwife comes and asks or checks on you we tend to soldier on. For my daughter it was two years after her loss when the grief really set in. When people around stop talking about it it becomes harder and there life moves on whilst yours seem to have ended up hanging in limbo. It was heart breaking to spend years pulling her through as when I did ask for help for her she was just put on a waiting list. By the time I managed to find money to pay for a private one she had self harmed and was deeply depressed but hiding it on the outside. I’m lucky as my love for my children has meant I have never given up and she is now in a much better place 😃 I hope and wish Peaches little boys will find that place to in time. My very good friend who lost her husband when her second child was just 3 weeks old was strong enough to set up her own children’s foundation for bereaved children and there families only a year after her loss due to the lack of support available. Amazing woman but sad she had to take all that on board when something should have been in place for her when she needed it. Love to all of you who has lost a parent or a spouse, don’t forget their love for you didn’t die, it will remain forever. I was widowed at the age of 26. My mother was wonderful – but I was honest – and that helped her – how could my mother be a mother if I hid my true feelings ? I was honest with my emotions and completely open. In my devastation, I wasn’t capable of being anything else. Some would call it selfish – but no – it wasn’t – it was a family working together – my openness helped everyone – including me. I didn’t have to hide anything. My mum knew how I felt because I told her. No one suggested I should be brave or strong or anything other than who I was and what I wanted to be. My vicar told me to just be myself. He said that people would understand – and you know? They did. They actually did! My openness and honesty – some would say naïveté – were a really strong benefit for everyone – so no! My advice is – Don’t be strong. Don’t “bear the pain”. Don’t bottle it up – be kind to yourself, and in so doing you will be kind to those who care for you, be open , be honest, be truthful – and let the world cope with you….in bereavement believe me, it is YOUR turn to be cared for. We seem to agree completely on that. My wife died suddenly in February, leaving me and our four children. Fortunately, I’ve got a lot of family and friends helping out, making sure I’m ok, but also helping with the kids. A colleague at work said on my first day back, “Aren’t you getting any government help? You know, like childcare?” When I told her there isn’t any (apart from some financial “benefits” – I hate the B word in this context – that I’m entitled to) she was banging on for ten minutes about how I should go sit on the steps of the town hall until they agreed to do something. This blog is exactly how I felt, having heard the news of Peaches’ death. My husband died last year, my children were 8 & 10 then & I struggled to explain to them, that their father wasn’t coming back, but at least they had some concept. How to explain to those 2 tiny babies? We’ve been offered no support, whatsoever. Children need support to mange their grief. They don’t understand the roller coaster emotions that come on a daily basis. The way you responded to the news of Peaches’s death and the way you focus on the husband and the children is the reason why I think you continue with the blog because your insight into what happens when people are confronted with an unexpected loss is very helpful. As I listened to the news today I prayed that the media be sensitive in their reporting to the feelings of Peaches’s family especially her husband and children. Thank you as always Ben for caring. My brother was brutally murdered and we had no one to help us through our grief, we as a family had to get on with it, The court case ended on the 22nd December 2000 and we sat huddled in the front room in disbelief with the verdict, not only had we lost Joey we were robbed of justice. We had a four year old and a five year old sat with nana mam and aunty who were all in tears, I am not even sure if they understood what was going on, Christmas was an exciting time for them but in the year 2000 we could not pull ourselves round to doing anything, me and my sister dragged ourselves to poundstretchers grabbing 2 of everything, total rubbish but the kids needed to open something Christmas morning, We got through the new year and then the kids had to go to school, we still had to work. There was and has been no support to us. I read the other day that Milly Dowler’s killer was given £4500 compensation, we were victims we had never done anything wrong in our lives and we were refused compensation as my brother had been in trouble when he was younger, at the time of his death he was a 34 year old father of three young children. His 3 children who were aged 12 11 and 3 at the time of his death have all suffered as they too were not given support. You see all these things on TV give a present for a child this Christmas, no one knocked on our door and offered to give our children a toy, it would have been lovely if someone had, just to let us know someone cared! Your words are beautifully put Ben, as always. The issue of the lack of bereavement support is an important one. My daughter was 8 weeks old when my husband died but I didn’t have a visit from a health visitor until she was 7 months old. I wasn’t offered any bereavement support, even after visiting the doctor as I was struggling to cope. My daughter’s birth was difficult, she was a very small baby with some health worries and I was thrown into nursing my husband immediately after her birth as his condition escalated quickly. I suffer from post traumatic stress disorder due to the intensity of that time. There was no post-natal care for us, or post-fatal either. Luckily I have a good family and I started seeing a private therapist, as there seemed to be no NHS help there. It would have been very easy for myself and my daughter to have slipped through the net completely as there was no follow up care. Help may be out there but it seems like you have to have the presence of mind to know where to look. Thanks Ben for writing such a thought-provoking post…I hope that Peaches husband receives better support in his time of need, my heart goes out to the family. Sorry, but I’m going to be a bit contrary. Everyone seems to agree that help is needed for the griever. However, I think that help can’t/won’t be effective until the griever wants help. In a way, it is like AA programs, the person needs to want to be helped before they will work. When my wife died I would not have even recognized that someone was offering me help, let alone accept that help. Maybe hospitals, clergy, senior care center workers, hospice workers, all need to provide a griever with a list of ways to get help, but I think the griever needs to recognize that they need help first. About the only help that I think might be effective is a griever buddy network. Doctors, nurses, clergy, etc need to be aware of widows, widowers, parents who have lost a child, children that have lost a parent, that have volunteered to be with a griever in those immediate hours and days, of grief. And I don’t mean just giving a phone number and saying contact this person, they know what you are going through. Rather someone the doctor can call and say, so and so’s wife just died please come over and sit with them, take them home, spend time with them. I don’t know if there are enough potential volunteers out there that would take a call at 2 or 3 in the morning and be willing to be with a stranger, where your only common bond is the loss of a loved one, for the days or weeks that it will take them to realize that they do need and can get professional help. I totally agree with you. 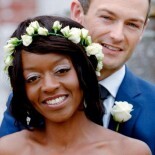 When my young husband died suddenly in his sleep I was beyond shell shocked. I called a dozen psychologists and psychiatrists in that first two weeks and couldn’t get anyone to call me back. I was 3 weeks out and on the brink of collapse when I got a call back. Then, the woman at hospice who saw me had the nerve to suggest my husband was cheating on me! My 2.5 year old daughter was also prescribed a dose of resilience. 8 months later I have fought my way back, but my heart aches for those spouses and parents going through the dark night of the soul. There really does need to be help readily offered to them instead of those victims having to beg for guidance. I have just read the most heartfelt. .. heart wrenching story this morning on Peaches. This is so true ….. All attention will be on the fact on who comment on what ..
Help must be given to Peaches husband and children when the media and press can leave them alone. My husband died 18 months ago last Friday leaving two children, aged 10 and 8. We have been helped (the children and I) by the Child Bereavement Charity in Saunderton, Bucks who have, and continue, to be amazing. I had to self refer, I can’t quite remember who suggested them, but they have helped us no end and are always at the end of the phone. I think that there is some help out there, but it isn’t easily accessible or known about, that to me is where the problem lies. When your world has fallen apart you need help and guidance. Why don’t we do something about it properly.. set up an organisation of trained people to go in and help from the beginning… people react to grief in so many ways.. huge damage limitation could be achieved if we had a system that was an emergency service for immediate grief.Perhaps Sir Bob can do an alternative live aid appeal – death aid. My husband died when my youngest child was just 4 months old. The Health Visitor didn’t visit and neither did my GP. Nor did they phone. They had no idea whether I had people around me, or whether I was completely disintegrating. My son’s immunisation jabs were due so I took him in, not knowing how else to carry on, other than to just carry on. The Health Visitor was so surprised to see me; amazed I had brought my child in for his jabs. She looked at me as though I were a ghost, not knowing how to interact. When things had been fine, I’d seen an awful lot of her, whilst she fussed and bothered over the babies weights etc. While there is help available I know in my experience that you have to seek it out and when you are grieving, you’re not in the frame of mind to look things up. Just washing you face in the morning is a monumental task. I didn’t get the help I needed until I was totally broken and nearly lost my job. If the help can be offered immediately as a matter of course it would be great. I agree entirely. My partner died in late March. In the early weeks friends and family were excellent and the school did give me some advice and feedback on how my son was doing. I have had to seek out help and have, as yet, found precious little- through a combination of not knowing who to contact, them not replying, referral processes being complex or support being on Facebook (which I had previously not used and haven’t yet fathomed properly), just at a time when my brain cannot function to understand these processes. SInce those early weeks, though the GP has seen me and talked about my son, nobody has seen him or offered any direct support, though I had a helpful talk with Winston’s wish. Some agencies don’t want to see you until you are beyond 6 months. A counsellor I went to privately in desperation essentially said there was no point speaking to me as I was still in shock. For me, the ideal would have been if someone had given me a folder full of leaflets about local and national support services, for me and for my son, and then, at the right time for me, I could have contacted the ones that were appropriate to my situation. Maybe a “post fatal info pack” given out to everyone when a death is registered? As it is, when I read now about others experiences, I feel that we are all going through similar exhausting processes of trying to find out for ourselves what is available, just when we are least able, and perhaps there is support out there that we just don’t stumble across. I also agree about the health visitors, it was impossible to get them out my hair when I had my son and they rang me before he started school to offer to weigh and measure him (as if I couldn’t manage that myself) but not a peep 6 months later when his dad died! This entry was posted on April 8, 2014 by Ben Brooks-Dutton and tagged bereavement, Bob Geldof, children, grief, kids, life as a widower, lifeasawidower, loss, male grief, mummy, Paula Yates, Peaches Geldof, Thomas Cohen, toddler grief, widow, widower.